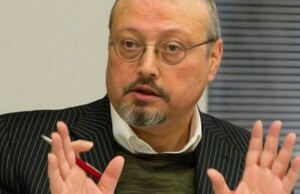 Jamal Khashoggi became a hot topic in the media when he disappeared on October 2nd after visiting the Saudi consulate in Istanbul. After days of incessant media coverage, the story suddenly dropped out of the news cycle. There are a few basic things everyone should know about this story because their ramifications are wider than the murder of one man in a far-off land. Most of us had never heard of Jamal Khashoggi until the media began discussing his disappearance. We learned that he entered the Saudi consulate in Istanbul but did not leave it. Later it seemed that he was removed, in pieces, in the luggage of the Saudi hit team who came to get rid of him. To Western media this story seemed like a Hollywood thriller, one that merited round the clock media coverage – and that’s where the focus on facts ended and narrative began. This is a great synopsis for a standard thriller movie but what is really going on? In this story we have an ex-pat Saudi man, the Saudi government and the country where everything occurred. Who is the good guy? Who should America support? Western culture likes to categorize good guys vs bad guys, cowboys with black hats vs cowboys with white hats. It’s very easy to know who is who when they wear hats symbolizing what side they are on. American values uphold freedom of the press so the abused journalist must be the “good guy”, right? Much has already been written about Khashoggi and who he really was. Anyone interested can easily find online the information about his connections to Osama Bin Laden, his membership and vocal advocacy of the Muslim Brotherhood (a terrorist organization that gave birth to Hamas and eventually Al Qaeda). We who believe in freedom of choice can say that the man had all the right to believe that the ideal world would be one under the rule of an Islamic Caliphate. He even had the right to advocate for terrorist movements. We, in turn, have the right to say that his beliefs are antithetical to ours and utterly unacceptable. I like my western freedoms, thank you very much. This does not make me an islamophobe, it makes me a Westerner who values freedom of choice, religion and human rights over the oppressive lifestyle imposed by Islamists. Considering that I am also a Jew, my choice is doubly crucial for my survival. So, if Khashoggi is a bad guy, what about the Saudis? Anyone that commits murder is certainly not “good”. Dealing with political enemies by chopping them into pieces is not “good”. Mohammad Bin Salman, Crown Prince of Saudi Arabia, has disappeared members of his own (extended) family who were in his way. They usually don’t die but go on extended “vacations” they can’t return from… What’s Khashoggi in comparison to family loyalties, particularly in a tribal society like Saudi Arabia? Shocking? It seems difficult for many to wrap their minds around the idea that there are not necessarily any “good guys”. The reality is that in the Middle East (and in all dictatorial countries), disappearing political enemies is standard practice. Murder, torture and abuse is common. In the history of humankind, freedom and democracy are an aberration, not the norm. This is also true for Turkey. The sudden demand for justice for Khashoggi is laughable in the face of Erdoğan’s own abuse of human rights, jailing of journalists and disappearance of political adversaries. The victim was an avid Islamist and terrorist sympathizer. The perpetrator is a dictatorial abusive regime. The country crying out in shock and outrage for what occurred on their soil has no better a track record. None of these are “good guys”. Why did this story get so much media attention? Did you see them make the same fuss for Daniel Pearl (kidnapped and murdered for being Jewish) or James Foley (kidnapped and murdered by ISIS for being American)? Has the media focused similar amount of time on the Yazidi genocide (by ISIS)? The oppression in Iran? The slave trade in Libya? No? Why? Why did the media first uphold Mohammad Bin Salman as some great reformer democratizing Saudi Arabia and now try to push for his removal? Why did the media so enthusiastically embrace known avid terrorist sympathizer, a member of a terrorist organization himself, as an innocent journalist? Why is there a huge push for America to impose sanctions on Saudi Arabia when the same people violently resisted sanctions on Iran? Why the demand to dissolve the $110 billion dollar arms deal Trump made with the Saudis? What lies in the balance? Prosperity and jobs for more Americans and arms for the Saudis to protect themselves from Iran vs some sudden awakening that the Saudi government is not democratic and doesn’t care about human rights? Even without knowing all the details behind these obviously contradictory positions, they raise more questions than answers. That is the point when it is time to begin asking: who benefits from this narrative? What agenda is being furthered by this type of reporting? Just as an aside – Mohammad Bin Salman did make changes in his country, easing up on some restrictions (such as allowing women to drive) but these have nothing to do with democracy. They are the decisions of one man in power, creating a strategic balance to maintain content among the people, especially the young and retain his power. As an Israeli I can look at this story from a distance and say – thank God, for once, this is not our circus, not our monkeys. This story isn’t about Israel. It’s not about Jews. It’s not America’s or Europe’s either. This is a story about Islamism and the internal war within Islam. It’s about dictators and the way things are done in places that are not free. It matters because the media is supposed to be about facts, not narrative and if you are being fed a narrative you should know what it is and what it is trying to achieve. It matters because you should know where the best interests of your country lie and support those – even if they don’t fit in with the current narrative. It matters because history teaches us that nation building does not work and when Middle Eastern countries are destabilized the circus does not stay “over there,” the monkeys stop being amusing and become very dangerous.